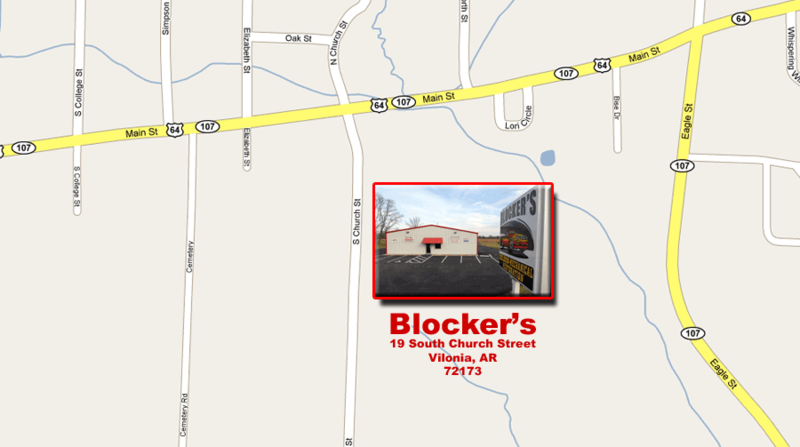 Blocker’s was founded in 2000 by Bryan Blocker, an ASE certified mechanic who decided to provide a one stop facility for automotive repair, collision repair, restorations and customs. His vision was to give every customer the simplicity of bringing their daily driver or their weekend warrior to one man they could trust. His business had modest beginnings, with Bryan working from a simple garage that had less than 1000 square feet of space. It didn’t take long for his reputation to spread and he quickly outgrew that facility. Blocker then committed to building his current 6000 square foot shop that houses everything from a DeVilbiss paint booth to state of the art tire mounting and balancing equipment. His goal was to service mom’s mini-van and build dad’s dream car. After months of construction Blocker’s moved into their current home in 2003. The facility is located at 19 South Church Street in Vilonia, Arkansas, an easy drive from the heart of Little Rock. Bryan is a family man. His wife, Laura, is active in the Vilonia Chamber of Commerce and a working wife. Bryan invites you to drop by the shop anytime to check out his facility and the quality of his work. You’ll be glad you did!